Chutney is a thick sauce of Indian origin that contains fruits, vinegar, sugar, and spices. Just like relishes and mustards, it is used as a condiment. 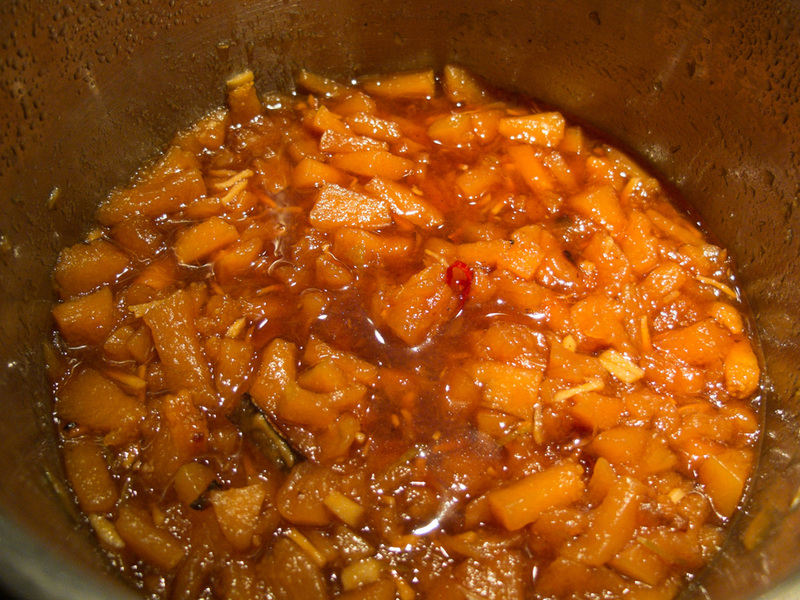 Here I propose a chutney based on the very fragnant quince fruit. 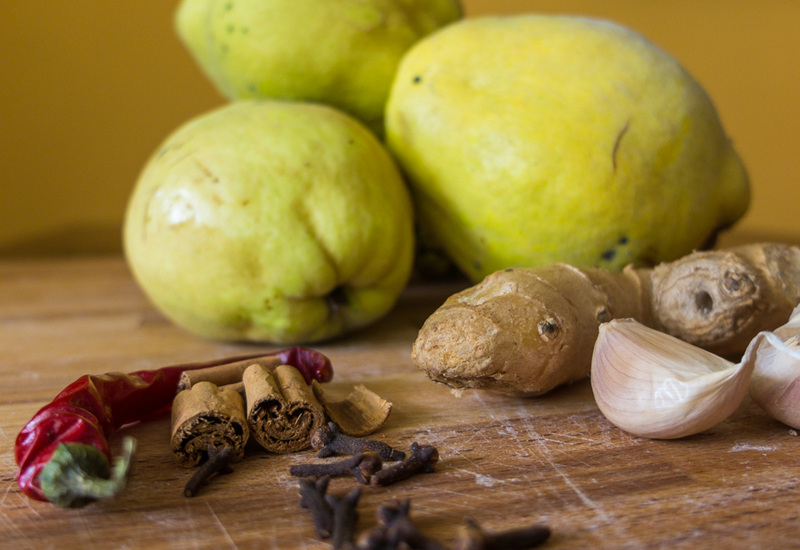 I was inspired to make this chutney only imagining the heavenly match of the two main flavors that dominate it - combination of the zestiness of ginger and the sweetness of quince fruit. Adding just a hint of cinnamon and clove, I managed to find a whole new purpose with this awesome autumn fruit which sadly seems to have fallen into oblivion. 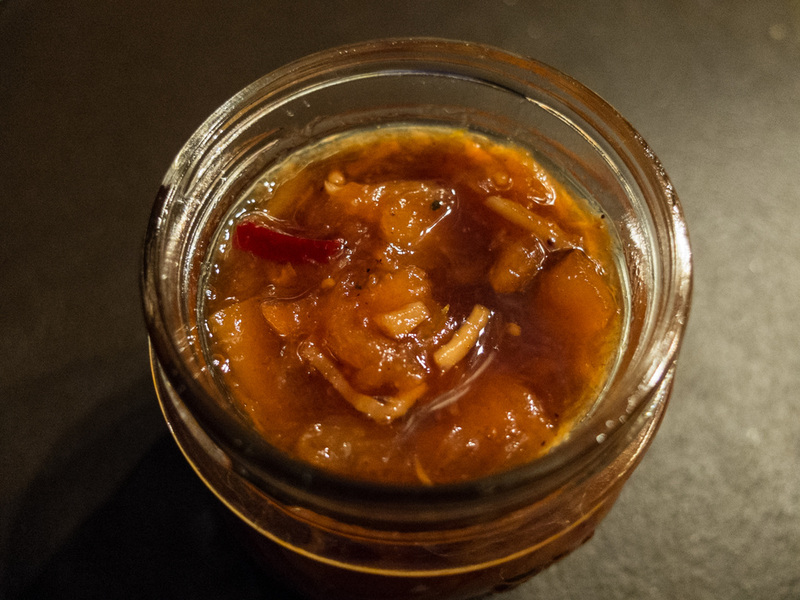 Enjoy this delicious chutney with some cheese, an Indian dahl or in whatever way your imagination suggests. 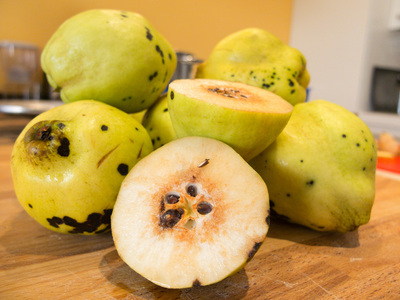 Preferably use untreated quince and cut them in quarters. 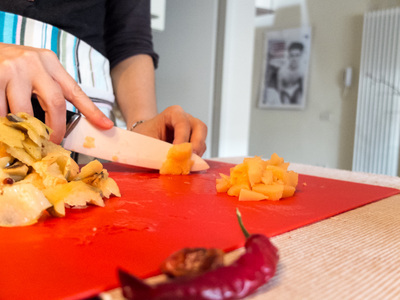 Peel the ginger and cut into 1 inch long strips, chop the garlic cloves and slice the lemon zest into strips. 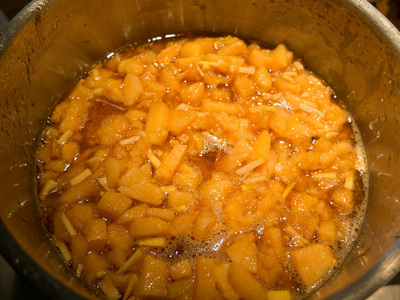 Then mix all the ingredients and spices in a tall pot and cook over medium heat for at least an hour, until it has taken a lovely amber color. Once your chutney reaches perfect density and texture, pour into sterilized glass jars while still hot and close with a lid to ensure airtight sealing. Peeling raw quinces is mission impossible as they are very hard! 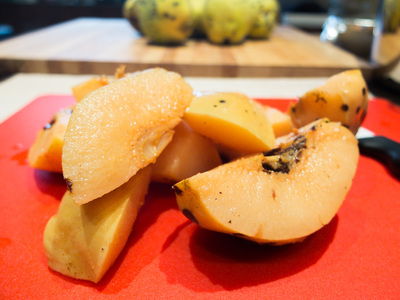 Therefore, I recommend blanching them first. This will help all subsequent preparation steps.